For the past few months, we’ve been running around to London’s archives and museums gathering a treasure trove of interesting material for our third iBook. 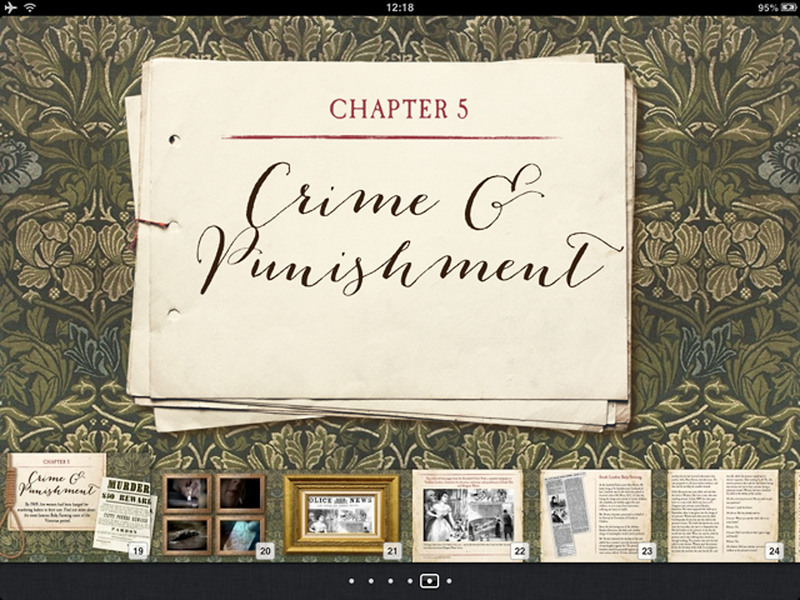 This interactive ebook is a companion to Alison Rattle’s brilliant novel, THE QUIETNESS, which is set in Victorian London. This novel tells the story of two girls from very different parts of society who ultimately end up embroiled in the dark world of baby farming. The facts behind this book — the real hardships of life in Victorian London, the real criminals who were convicted of murdering infants for money — are endlessly fascinating. This iBook will take you deeper into the world of Victorian women, children, doctors, and policemen. Plus, you’ll get an exclusive videos about Alison’s writing process, her research, and a bit of insight into her next book. If you’ve downloaded our other iBooks, you’ll notice that this one is just a bit different — it sits separate to the text of the novel. It’s something to download after you’ve read (and loved) the book, so your experience of the story doesn’t have to end with the last page. Just wait until you see the full iBook! This looks amazing, and very interesting! I’m definitely getting this when it comes out.